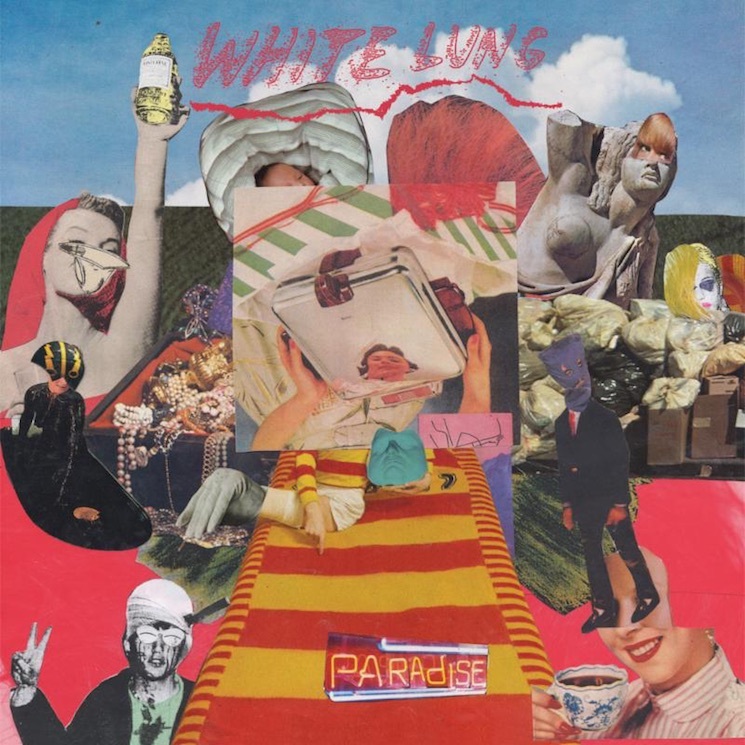 White Lung "Kiss Me When I Bleed"
White Lung recently teased new material with the single "Hungry," then followed that up with plans for a full-length called Paradise. And while the whole thing won't arrive until later this spring, the band have offered up another fresh cut called "Kiss Me When I Bleed" to ease the wait. The new tunes were laid down in Los Angeles with producer Lars Stalfors, seeking to capture the "energy, unique guitar work and lyrical prowess" that White Lung are known for. "Kiss Me When I Bleed" proves successful in that regard, pumping out blasts of screeching guitars and perfectly punctuated vocals above a thunderous drum beat. Scroll past the band's upcoming tour dates to give it a listen in the player below. Paradise is out on May 6 through Domino.